Welcome to Your ServiceNow Primer. Once just a simple IT ticketing platform, today’s ServiceNow offers an entire Enterprise cloud to support your employee, customer, and IT teams. 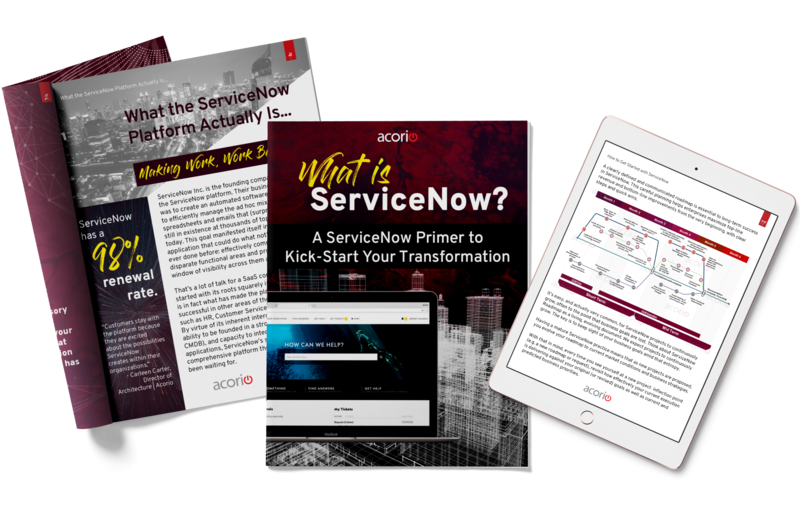 Fill out the form to get your ServiceNow Primer eBook.